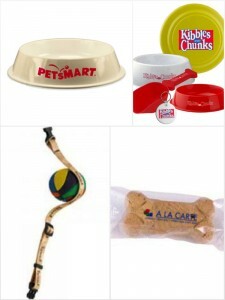 You are currently browsing the archives for the Promotional Pet Products category. Promoting a brand is very important because it is the only way that customers get to know about your existence. Without a proper marketing strategy, it can take a long time for you to enjoy sales with your products and services. Luckily, there are so ways you can use to promote your brand and increase your reach and visibility. Branded raincoats are some of the best promotional items you can choose. The raincoats are very practical items because they offer protection during wet weather and when they are pulled out they become advertising tools for your business. You can easily have raincoats customized with your logo and brand colors and even your mission statement. After having them branded, you can distribute them during outdoor events, exhibitions and trade shows of even corporate events. Raincoats work because they offer protection from cold wind and rain and they are also lightweight to carry around compared to umbrellas. Raincoats can be made from materials that are long lasting so that your brand can be splashed and distributed effortlessly over a long period of time giving you the exposure that you need. With so many styles available, you have the freedom to choose the designs that you feel will match with the audience that you are targeting. When you decide to use raincoats for your brand promotion, ensure that you select the best quality raincoats that your targeted audience will find useful. Choose durable materials over poor quality ones so you can enjoy visibility for a long time to come. Decide whether to stick with one style of raincoat or to choose different styles and design to meet the versatile likes of your targeted markets. The raincoats come in numerous designs including raincoat ponchos and you can decide to mix them up or stick to one design according to what you find most suitable for your branding strategy. When using the raincoats as your perfect promotional items, be sure to also mix up the sizes so everyone receiving will get a valuable item that will actually be meaningful when the weather calls for it. Because the raincoats are available even in baby sizes, select and mix them up so you do not end up making a certain group of people feeling left out. Choose your printing content carefully so you have the raincoats serving the exact purpose you have for them. A logo and your company name should really be enough, but if you must, then include your business statement as long as it is short and precise. The printed logo or name should be big enough and colorful enough to attract the attention of people coming across the raincoat. To reduce the costs think about bulk orders. Raincoat manufacturers have a tendency of discounting larger orders and your branding needs put you in the best position to take full advantage of this. Order just enough for the brand marketing strategy you have and according to the budget allocated for the same. Superior Promos carries a wide variety of Promotional Products to cater to human needs as well as the needs of our furry friends! Lets face it, when a dog is a mans best friend and cats are the companions we cannot live without, of course we want to cater to them with the best products available. Superior Promos carries a quality selection of customizable Promotional Pet Products just begging to bought. Win over the hearts of your clients with our Pooch Pack Set, a must-have Cat Food Bowl or even a Nylon Pet Leash. Calling all vets, pet stores, dog groomers, dog walkers and dog whisperers! These Promotional Products were made with you in mind; browse our selection of Promotional Pet Products now and advertise your service on a product any pet-owner would love.